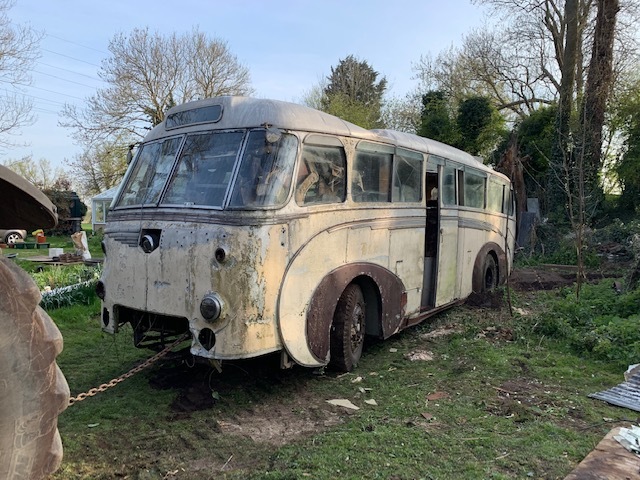 NVE 1 ex Burwell and District Daimler Freeline Willowbrook C41F that was displayed on the Willowbrook stand at the 1954 Commercial Motor Show at Earls Court, and has been languishing in a garden in Cambridgeshire for over 40 years as a store shed has been sold to Owen Edge of Ely for preservation. 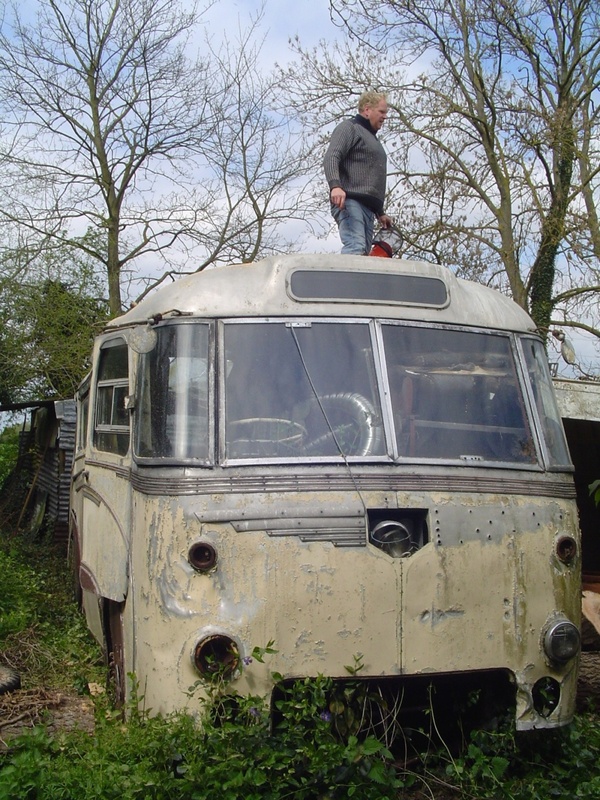 Mr Edge who owns Cambridgeshire Classic Cars of Ely Cambs plans to restore the coach which is the only survivor. 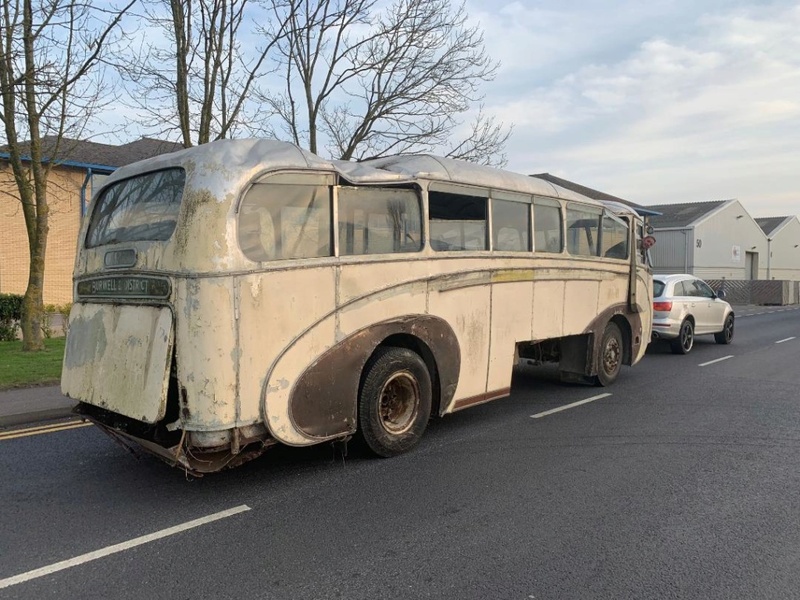 It is devoid of engine and gearbox and Owen is looking for help in finding replacements. 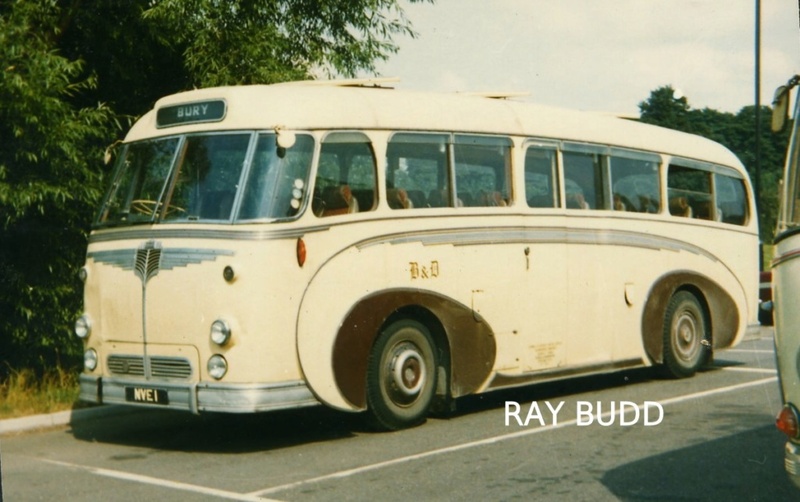 The reg number NVE1 was sold in 1976 the replacement number being ATW528A but never entered onto DVLA computor. 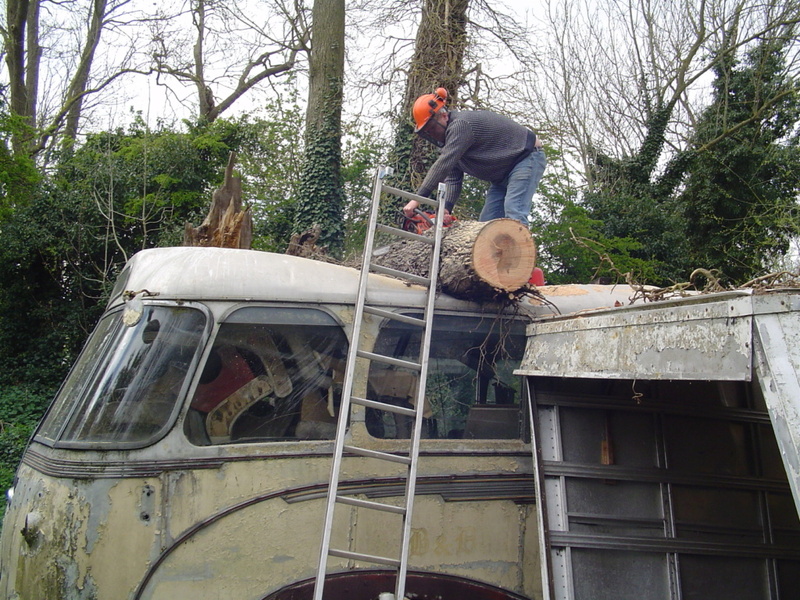 Pic shows it being prepared for movement on 12th April, two trees had fallen on it over the years the second one had be removed by chainsaw. Surpisingly the body has withstood but with substantial damage to the roof. A big project. Very good news and a mammoth task indeed. I wish Mr Edge the very best of luck!